A Breakthrough in Carbon Source Technology that Provides Cutting-Edge Developments in Microbiology and Biophysics! Naturally occurring microorganisms that share key traits for plant enhancement are contained in this cutting-edge product by Ecological Laboratories. Once plants are removed from their natural growing environment, the natural balances are destroyed which can disrupt the growth. Use Nourish to restore these balances. 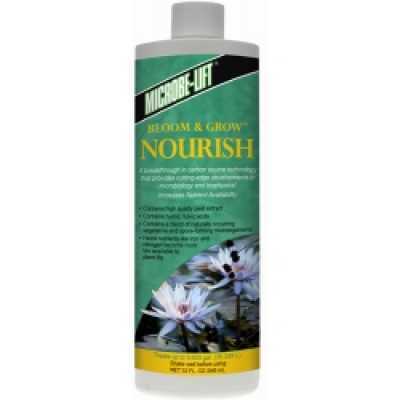 Nourish will enhance substrate and nutrient availablility, and contribute to enhanced microbial activity and the overall biochemical processes.